The journal addresses all aspects of the evolving ‘Oil Age’, including physical, economic, social, political, financial and environmental characteristics. Oil and gas are natural resources formed in the geological past and are subject to depletion. Increasing production during the First Half of the Oil Age fuelled rapid economic expansion, with human population rising six-fold in parallel, with far-reaching economic and social consequences. The Second Half of the Oil Age now dawns. This is seeing significant changes in the type of hydrocarbon sources tapped, and will be marked at some point by declining overall supply. A debate rages as to the precise dates of peak oil and gas production by type of source, but what is more significant is the decline of these various hydrocarbons as their production peaks are passed. In addition, demand for these fuels will be impacted by their price, by consumption trends, by technologies and societal adaptations that reduce or avoid their use, and by government-imposed taxes and other constraints directed at avoiding significant near-term climate change. The transition to the second half of the Oil Age thus threatens to be a time of significant tension, as societies adjust to the changing circumstances. The journal presents the work of analysts, scientists and institutions addressing these topics. Content includes opinion pieces, peer-reviewed articles, summaries of data and data sources, relevant graphs and charts, book reviews, letters to the Editor, and corrigenda and errata. Editor Dr. Roger Bentley MEI, Visiting Research Fellow, Dept. Cybernetics, Reading University, UK. E-mail: r.w.bentley@reading.ac.uk. Phone: +44 (0) 1582 750 819. Dr. Colin Campbell, Chair, Retired petroleum geologist, Ireland. Noreen Dalton, Chief Executive, Petroleum Analysis Centre, Ballydehob, Ireland. The journal is in print form, and each issue contains roughly 70-90 pages. Currently no digital version is offered, although this may change in future. Subscription is 64 euros per year (for 4 issues) including postage. To submit a manuscript, charts or a book review, in the first instance please send a short e-mail outlining the content to the Editor. Letters to the Editor, comments on articles, and corrections are welcome at any time. 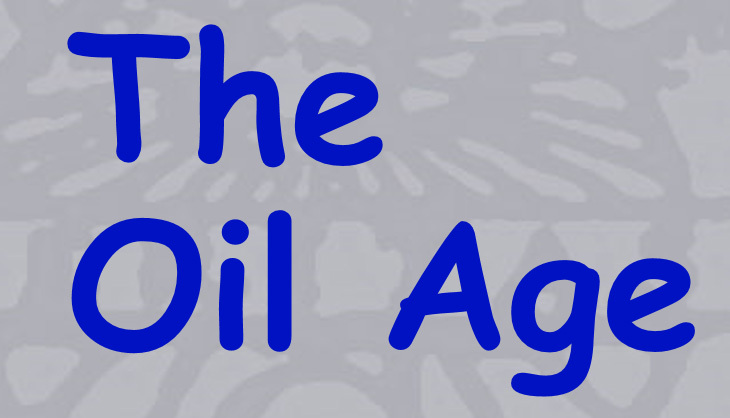 – The Oil Age in an Historical Perspective by Colin Campbell. This article sets out the reasons for the production of this journal. – An article, also by Campbell, on his global hydrocarbon forecast model. This is a ‘field-aggregate’ model, where production across all fields within an oil or gas producing country is modelled as a single unit. Campbell has recently expanded his model to include accounting for oil and gas net-energy. – An article by Michael Smith of Globalshift Ltd., on the company’s global hydrocarbon forecast model. This is a ‘bottom-up’ by-field model, forecasting production on the basis of individual oil and gas field data where available. – A short article by myself. This is in the form of a ‘student assignment’, and shows that surprisingly accurate estimates of oil production can be made using primarily the public-domain data in the BP Statistical Review of World Energy. – Data since oil price and oil supply since 1965 (BP Statistical Review). – Estimated quantities of recoverable oil by category of oil, vs. production cost. This includes the relatively modest amount available from ‘fracking’ (IEA: Resources into Reserves). – Global oil and gas ‘2P’ discovery, and production, 1900 – 2010. – Global oil reserves: Comparing 1P with 2P data, 1920 – 2012. – Showing how a region’s ‘creaming’ curve can be used to estimate the region’s URR. Welcome to the first issue of this journal. As the objectives state, the journal aims to cover the full range of topics associated with the transition through the ‘Oil Age’. The emphasis in the first few issues is on physical aspects of the topic, including oil and gas modelling and net-energy, as readers may appreciate these foundations being laid. Future issues will cover wider topics, including the impact of changes in oil & gas supply on agriculture, industry and wealth creation, and on society in general. Mankind has been fairly poor at understanding its oil-supply situation in the past. For this reason, articles related to the history of the ‘Oil Age’ are of interest, including problems with past oil and gas forecasting, to help explain ‘how we got where we are’. Further still, it is the intention to include articles on the future of energy and other resources, including comprehensive energy/economic systems models; and also on the politics and governance of the ‘Oil Age’, whether this be ‘trust busting’, pro-rationing or cartels in the past, or possible transition paths, resilience policies, and scope for international collaboration in the future. I hope that you find these articles useful. By all means write to me should you have corrections, criticisms or comments. – R.W. Bentley, Jan. 2015. (i). OPEC & FSU Reserves data. Campbell’s model (like that of Laherrère) in assessing future production of conventional oil significantly reduces the size of reserves that some industry datasets hold for specific OPEC and Former Soviet Union (FSU) countries. For OPEC countries, this partly reflects the ‘quota wars’ probable reserves overstatements that took place mainly in the 1980s; while FSU countries reserves in some industry datasets are treated by both Campbell and Laherrère as closer to proved-plus-probable-plus-possible (‘3P’) values, rather than proved-plus-probable (‘2P’). As mentioned above, Campbell’s hydrocarbon forecast model has recently been expanded to account for net energy. This is an important step, and makes it – at least to my knowledge – the first detailed oil and gas forecast model to include this aspect. Energy return on energy invested (EROEI; sometimes EROI in the US) is likely to be a crucial aspect of mankind’s energy future, but is almost always overlooked. It is important because nearly all of the ‘new’ fuels, whether from fossil hydrocarbons (oil from fracking, tar sands, Orinoco heavy, kerogen oil, GTLs, or CTLs; and gas from fracking, other tight gas, CBM, UCG, or methane hydrates), or nuclear or renewables, have – or will probably have when commercial – lower EROEI ratios than most current fuels, and in many cases very much lower. Thus moving to these sources of energy is likely to significantly reduce the amount of useful energy available to mankind. But virtually all current energy modelling – whether from the IEA, the IIASA GES study, the UK’s DECC, or other ‘mainstream’ modellers, simply does not take falling EROEI ratios into account, and therefore paints almost certainly a far more optimistic picture than reality. It is a reasonable guess that in time all such models will come to include this aspect; and this journal looks forward to reporting on these as they become available. (iii). Size of the URR for conventional oil. When comparing oil forecast models (such as, in this case, Campbell’s with Globalshift’s) observation of many current models indicates that a large part of the difference lies in the assumption made for the size of the ultimately recoverable resource (‘URR’) of conventional oil. Such an assumption can be explicit; or be implicit by, say, summing the cumulative production of conventional oil to end-2100. This also is an important topic, and will be covered in more detail in future issues of this journal. (iv). Use of public-domain data. The background to the ‘student assignment’ given here is a little curious: For years I have told students that because the oil reservs data in the BP Stats. Review are so poor, no useful forecast of oil production can be generated from these. This is primarily because the proved reserves (’1P’) data have not reflected the actual amounts of known reserves of oil, as indicated by the – generally very expensive – oil industry proved-plus-probable (‘2P’) reserves. But provided some additional information is used, in fact fairly reasonable approximate oil forecasts can be made with the BP Stats. data. This is potentially quite important, because much of the current lack of comprehension of the oil situation has stemmed from the inability of many analysts to access the 2P data; and, indeed, often from their not knowing of the need to use these data in the first place. But by being able to make approximate forecasts primarily from public-domain 1P data, this lack of comprehension about future oil supply may well be reduced. What is the anual price of a subsciption? Is it a digital or an printed magazin, how many pages? Is there a website of the journal? Dear EmTee. Yes, I should have provided this information to ASPO. Annual subscription (4 quarterly copies) is 64 euros including post and packaging. It at present is a printed journal; we may some date in the future go to digital also, but not immediately. Each issue is likely to have between about 80 and 100 pages. The journal itself has no website, but the ASPO website has currently kindly agreed to display the contents and editorial content of each issue when it is printed. Note that it is not in any sense an official ‘ASPO’ publication, but an independently produced journal. Hope this helps. – Roger Bentley (Editor, ‘The Oil Age’).